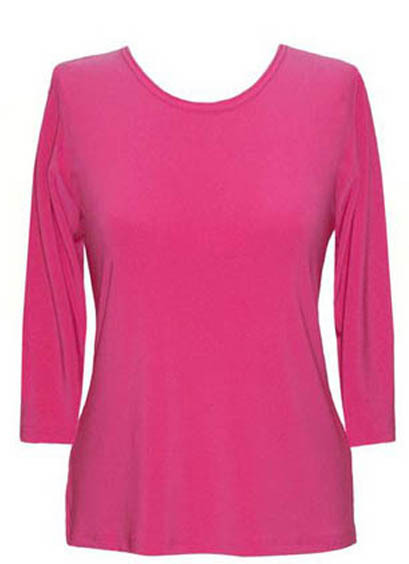 Valentina Scoop Neck 3/4 Sleeve Pink Top With 4" Vented Sides. 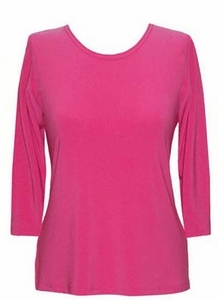 Fabric 100% Polyester. Machine Wash Delicate.